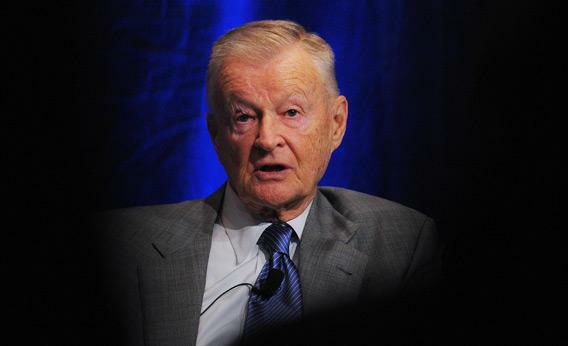 Zbigniew Brzezinski discusses his concerns over Obama’s Asia policy. The former national security adviser explains why he’s worried about Obama’s approach to China. We meet at Teatro Goldoni, one of Washington’s best Italian restaurants, located on the infamous K Street, home to many of the town’s lobbying groups. It is also a block from the Center for Strategic International Studies, one of DC’s biggest think-tanks, where Brzezinski, national security adviser to Carter from 1977 to 1981, is a trustee. I get there a few minutes early to fiddle with my tape recorder. Brzezinski strides in on the dot of our agreed time and grips my hand firmly. Dressed in a low-key suit and tie, Brzezinski is leathered and lean and still has almost a full head of hair. He talks in paragraphs, virtually without pause. Though I have known Brzezinski for years – and received news tips from him by email and fax – I still feel unsettled by his piercing gaze. Many of his Soviet interlocutors and White House colleagues were reportedly kept off balance by his hawkish manner. When talking about the state of the world, Brzezinski, who still has traces of a Polish accent, chooses his language more forensically. His father was a Polish diplomat and Brzezinski, who was educated at a British prep school in Montreal during the second world war, had spent most of his first decade at diplomatic compounds in France and Hitler’s Berlin. Brzezinski Sr must have done something very right, or very wrong, to get posted to Canada after that. “In those days, the British still referred to it as BNA,” Brzezinski says. “British North America.” Brzezinski attributes his verbal skills to his prep school. “I entered the school not knowing a word of English and at the end of the first year in June I picked up a prize for literature,” he says. It must also have been there that he acquired his knowledge of food, I think to myself. I spent the previous night reading through Brzezinski’s new book – Strategic Vision: America and the Crisis of Global Power. “That must have been a sad evening,” says Brzezinski, chuckling. I had no difficulty staying awake, I reply. The book offers a bracing portrait of a “receding west” with one half, Europe, turning into a “comfortable retirement home”, and the other, the US, beset by relative economic decline and a dysfunctional politics. In this rapidly changing new world, America’s growing “strategic isolation” is matched only by China’s “strategic patience” in a challenge likely to strain the electoral horizons of US policymakers. We are already toying with our respective starters – Brzezinski has a mixed green salad and I have gone for a beet salad. The Dubonnet is going down nicely. “We [Americans] are too obsessed with today,” Brzezinski continues. “If we slide into a pattern of just thinking about today, we’ll end up reacting to yesterday instead of shaping something more constructive in the world.” By contrast, he says, the Chinese are thinking decades ahead. Alas, Brzezinski says, Obama has so far failed to move into a strategic habit of mind. To a far greater extent than the Chinese, he concedes, Obama has to respond to shifts in public mood. Brzezinski is not very complimentary about American public opinion. When our main courses arrive, Brzezinski looks suspiciously at his steaming plate of duck ragù pasta. “It’s quite a large portion,” he says to the waiter, who does not reply. “And your plate of lasagne is also very big,” he says pointing at my dish. Unlike Brzezinski, who picks discriminatingly but never wholeheartedly at his main course, I have little difficulty finishing mine. We decline the waiter’s offer to follow our Dubonnet with a glass of wine. “This is quite enough, thank you,” says Brzezinski. We return to the subject of ignorance, which Brzezinski lists as one of America’s six “key vulnerabilities” in his book alongside “mounting debt’, a “flawed financial system”, “decaying national infrastructure”, “widening income inequality”, and “increasingly gridlocked politics”. He contrasts the level of knowledge of Chinese policymakers with that of their American counterparts. Having befriended Deng Xiaoping, China’s former leader, who led the country out of its long dark Maoist night, Brzezinski is an unabashed admirer of China’s diplomatic skills. He even had Deng round to his DC home for dinner. The diminutive Chinese leader was amused when Brzezinski served him from a bottle of Russian vodka he had been given for Christmas by the Soviet ambassador. I push him further on Obama. Shortly before our lunch, the president returned from Australia where he announced plans to deploy 2,500 Marines there to shore up alliances in Asia. This is exactly the kind of move that baffles Brzezinski. What’s wrong, I ask, with Obama’s so-called pivot to Asia? Doesn’t it make sense to wind down the wars in Iraq and Afghanistan and shift attention to the rising east? It seems like a downbeat note on which to conclude a lunch that has taken place at such high velocity. As the waiter hands me the bill, Brzezinski asks when was the last time I did something like this. I mention the late Christopher Hitchens with whom I had lunch a few years back. “Ah, now, that must have been lively,” says Brzezinski, his face brightening. I ask whether he watched the debate between Hitchens and Tony Blair about religion. Brzezinski’s expression alters. “That guy [Blair] is a lightweight,” he says. “I don’t like his political morals and how he’s been enriching himself since leaving office. He preaches high moral language but … ” Brzezinski pauses as if wondering whether to continue. “I have a visceral contempt for Blair,” he says. “Not dislike. Just contempt.” The bill settled, Brzezinski departs as briskly as he arrived, and with another of those iron handshakes.